Posted February 23, 2016 in Featured Post, Tips, Tags: black tea, green tea, herbal tea, Kidney Diet, phosphorus in tea, potassium in tea, tea by Dana Galic, MBA, RD, LDN. For people with chronic kidney disease (CKD) or end stage renal disease (ESRD), dietitians are frequently asked if tea is allowed, especially hot tea during cold winter months. As with many foods and drinks we are asked about, the answer is yes! In moderation, tea is a great beverage option that can be healthfully included in a kidney diet. In fact, there are many exciting health benefits that tea offers to anyone. Teas come from the plant Camellia sinensis, of which the leaves will either turn to black tea with exposure to air or to green tea by steam or heat. Many herbal teas are created from either black or green tea leaves with additions of other herb leaves, spices, flavor extracts, or sweeteners. Some examples are mint, chamomile, or orange blossom herbal teas. You can also find herbal teas that do not contain tea leaves. Read the label to determine when selecting herbal tea. Research on herbal teas is inconsistent, but generally speaking herbal teas from major tea brands are safe for kidney patients to drink. Tea ranks very high on the oxygen radical absorbency capacity (ORAC) scale, a measure of the antioxidant content of plant-based foods. High ORAC foods and beverages, such as tea, help to fight off free radicals and cancerous cells in the body. Aside from the cancer-fighting properties, there are many other benefits of drinking tea. Tea has been shown to significantly reduce the risk of stroke and heart disease. Drinking tea is associated with increased cognitive function, delayed progression of dementia or Alzheimer’s disease, improved circulation, dental decay prevention, and may assist in achieving a healthy weight. Tea has been associated with improvements in insomnia, anxiety, osteoporosis, fatigue, diarrhea, and arthritis. Many of these tea benefits are hindered when undesirable additives are included in the ingredient list. Some bottled teas contain as much sugar as caffeinated sodas. Some may even contain phosphate additives for flavor enhancement, which is not recommended for people with CKD or ESRD. An eight-ounce cup of brewed black tea contains 88 mg potassium and a cup of green tea contains 21 mg potassium. Sodium and phosphorus content is less than 3 mg. If you would like to incorporate tea into your diet, but struggle to enjoy the flavor of plain tea, add fresh fruit slices for an enhanced flavor profile. Lemon and orange slices pair nicely with black tea. Fresh berries added to green tea gives a unique and satisfying flavor without adding sugar. There are some instances when caution is warranted for tea drinkers with renal disease. Smaller, unknown brands of herbal tea and some Chinese herbal medicinal teas may contain ingredients that could have side effects for people with kidney failure. For example, some herbal and green tea blends may interact with Coumadin or similar blood thinners. Additionally, for anyone who suffers from gastro-esophageal reflux or gout, tea could worsen your symptoms. If you are interested in a particular tea, but are not sure if it is okay for you to drink, share this concern with your renal dietitian. Your dietitian will guide you or refer you to your nephrologist if there are potential risks. 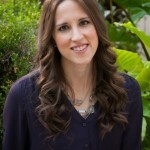 Dana has been a dietitian for five years, working with DaVita for the last three of those years. She enjoys exercising and cooking in her free time. My son was recently diagnosed with Kidney Disease. He likes tea, is it alright for him to drink herbal caffeine free tea? And how many cups is allowed per day/week? Many herbal teas are acceptable on a kidney diet, but it’s best to check with the doctor or dietitian to be sure your choice is kidney-friendly. Dandelion tea can have a diuretic affect. However, if it is an uncommon tea, you may want to double check with your doctor or pharmacist to be sure it does not interact with any medication. Thank you so much for straight answers and informative add-ons! Chamomile tea is that safe drink non dialysis ckd? I’m stage 2 or 3 as my kidney function fluctuates. I read that chamomile tea is good to decrease creatinine not sure if that really true but before my kidney function went down I loved chamomile tea and would love to still enjoy a cup sometimes. I forgot to mention I don’t have a renal dietitian my nephrologist has refused to refer me to one. The only thing he told me is to avoid salt and eat healthy. So I’ve pretty much have been guessing on what I can eat and not cause more damage to my kidneys I have Lupus Nephritis. I’m thankful for this website because I can follow your recipes and feel a little better that I’m at least eating ok. This is so new to me and so scary. Using https://www.davita.com/diet-helper/ may help you in planning meals that are low sodium. You can use the pre-populated meal plans, or add and take away per your preference. What is it with nephrologists and a renal dietician? I’m on my third nephrologist. I asked the first two to send me to a dietician. “Oh just eat whatever you want, but do it in moderation!” We’ll, I want salt and vinegar potato chips and coke. GIVE ME A BREAK! I’m not an idiot. If I don’t get satisfaction from one nephrologist, I just find myself a new one. Finally a nurse practitioner, God bless her precious heart, is sending me to a dietician. Brenda, take charge of your healthcare. One doctor even told me I shouldn’t worry about my numbers. He said that was his job. I had to call his office the next day and ask the receptionist to mail me a copy of my labs. I’m one point away from 4th stage kidney disease. I have a husband I’d like to live to care for as we get older. I have grands I want to see graduate from college. Grands I want to see walk down the aisle in white wedding gowns. Maybe even great grands one day. These doctors aren’t the ones hanging on to life. I’m tired of being just a name and a number to them! Good luck in your journey to good kidney health. And let me add a big “Thanks” to DaVita. I live on recipes from their website. Thanks for responding Karen. The DaVita.com recipes are also for CKD patients. Some of the recipes suggest adjusting portions for lower protein. All of the recipes are low in sodium, potassium and phosphorus which is a concern for CKD and dialysis. You MUST SEE A NEPHROLOGIST!!! And you need a CKD DIETITIAN! You need a new GP. MINE is doing the same thing to me. I even called the Kidney Specialist who told me I need a referral. It’s ridiculous that insurers require people in our situation to get a referral. Referrals should be automatic! Get to a BOARD CERTIFIED NEPHROLOGIST NOW! Your life is at stake! Chamomile tea is generally safe for people with kidney disease, in moderation. If you are unsure if an ingredient in the tea would interact with medications you are taking, you can talk with your pharmacist. I love the passion fruit brewed iced tea from el pollo loco. Is that tea ok to drink? I know that the Canned and bottles teas like Arizona are not good to drink because they have so much phosphate in them. But I just want to put mind mind at ease regarding the brewed tea at we pollo loco. You may want to ask them at the restaurant if their tea is brewed from a tea bag. If so, that should be safe. If it is from a bottle, they may be able to look at the ingredient list and tell you what is in it. You want to look for “phos” in the ingredient list. Jay, can you please reply back and let us know what they said if you do end up asking them. Thank you! Doctor recommend me to drink strictly water. Well…. Getting water logged and wanted to know green tea was ok to drink? Regular green tea is generally safe to drink. If you are drinking it already brewed from a bottle or can, double check the ingredients for any phosphorus additives. Look for “phos” in the ingredient list. Had my insulin increased, it is a bit controlled. Had a meeting and evaluation with transplant team. Now I need to lose 30lbs before they put me on the waiting list. Which I know losing weight will help so much in my health. Still feeling always tired from dialysis. Been talking to my dietician from the dialysis center. So what I’m finding is before dialysis and once you start dialysis everything you take in changes. Thanks for the update and good luck with the 30 pound weight loss. It’s great you have a dietitian to work with you on a regular basis. I am on ckd stage 2, can i drink black tea? Yes black tea is acceptable for all kidney diets unless your need to restrict it for other reasons. Hi my mom has stage 4 kidney disease. I was wondering if there are any teas that are safe for her to drink. Such as, chamomile with honey? Yes chamomile tea is ok for kidney patients. Other teas like mint, lemon, orange spice, apple and cranberry are acceptable. Stay away from teas like Chinese teas or others that have a mixture of herbs for medicinal purposes as these could cause harm. Since each person’s kidney diet is tailored to their individual needs I think meeting with a dietitian will be helpful. You doctor can tell you if any of your lab values for potassium of phosphorus are out of range and if you need to make diet changes. i got my renal transplant in August 2014. Now cretinine started increasing.It is 3.19. Any tea etc will be helpful ????? Unfortunately tea will not reverse the creatinine level from rising. Most green, black or chamomile teas are safe to drink. I am at stage 3B and would like to know if it is okay to drink coffee (regular or decaf). Evidently tea is okay and, of course, all in moderation. Coffee is generally safe to drink in kidney disease. However, some non-dairy creamers now contain phosphorus additives. If you do use creamer, look in the ingredient list. If you see “phos” in any of the words, this is a phosphorus additive. My father is at stage 5 kidney disease, creatine level at 20 and urea at 330 not undergoing dialysis, taking medication for hypertension and potassium. He is taking oats and rice soup at frequent intervals..can u suggest him with a low protein, low sodium and potassiun diet. He used to have heartburn, constipation and stomach pain during the day time and interrupted sleep at night..please give some guidance to cope up with the situation. Thank you for your questions. It appears your creatinine level and urea nitrogen level are high. If he is not on dialysis; it is difficult to give general recommendations. The recommendations for his diet would be based on what his current blood results are showing. Generally a lower protein diet is considered 0.8 grams of protein per kg of body weight per day. Here are a few articles on lower potassium and lower sodium suggestions. I have CKD3 ,is drinking Macha green tea is safe for me..
Matcha tea is a concentrated powdered form of green tea. There do not appear to be any nutrients of concern found in this green tea. However, it is always best to talk with your doctor to see if your blood results are all within normal limits. I need help of what to eat. Thank you for your question, this is a challenge with most people. It will depend on what you prefer to have for meals, how often you eat, what your blood results show (if you are having them drawn regularly), etc. Here is a link to help with the general guidelines for a renal diet, which can help with meal planning. You may also check out the DaVita Diet Helper. I am unable to find a nutrient profile for mate. Without knowing the potassium content I would not guess if it is ok.
A cup of hibiscus tea contains 47 mg of potassium which is considered low potassium. Teas like nettle and dandelion can have a diuretic effect and may be marketed as a treatment for kidney ailments. I recommend not using these products unless you can find data that they have been tested and are safe for people with kidney disease. It depends on what is causing your kidney problems. With acute kidney injury the kidneys can recover. With chronic kidney disease it is progressive and kidneys will continue to decline over time. Keeping a healthy diet, exercise, good blood pressure control and if you have diabetes–good management can all help slow progression of CKD.. I am unable to find the complete nutrient profile, so cannot give you a good answer. You may be able to find a bottle that lists the nutrients. If the potassium is low it should be ok to include in reasonable portion–4 to 8 ounces. Can you tell me if Boba tea is ok to consume with stage 4 CKD? Most of the ingredients are fine–tea, water, boba tapioca pearls. If you have diabetes be aware the sugar content is high. If you are limiting milk due to high potassium or phosphorus be aware boba tea may be made with sweetened condensed milk or regular milk. You can request to limit the milk when ordering the boba tea. I have CKD stage4 , my dietitian restricted to drink any tea or green tea. But as i have researched , at least green tea or any herbal tea can be drink in CKD. Please advise me, I am very confused with my dietitian. Currently my creatinine is 3.2 and sugar is bit high 250-300 after food. I am unsure why your dietitian is restricting tea or green tea. You may want to revisit this with your dietitian to see why she is telling you this. My potassium is at high levels. Can i drink unsweet iced tea. Drink alot of it daily. Straight unsweet iced tea with lemon with nithing else. Also drink diet snapple peach flavor. If you are brewing tea from a tea bag the potassium is low. Unsure of the potassium level of diet Snapple, there is potassium citrate on the ingredient list, so be cautious. The chamomile tea from tea bags should be fine for her to drink. Unless the doctor has restricted her fluid intake. The chamomile is not proven in any study to reduce her creatinine level. It would depend on how it’s brewed. If it is brewed from tea leaves or bags that do not have any additives in the product, it is likely safe for kidney patients. Please advise if cinnamon tea is safe if you are in a low potassium diet? Cinnamon tea can fit into a low potassium diet. In 8oz potassium can range from 30-70 mg.
dear,if i in stage 5 stil can take the tea for improve the level? As long as you follow the guideline in the article and watch how much you are taking in for fluid, you should be fine. Hello. Thank you for this nice resource for those of us searching for information. What do you think of white tea and roobis (red) tea for those of us with chronic kidney disease? White tea is similar in composition to black tea which is acceptable in a kidney diet. I was unable to find potassium content for rooibos. One reference indicates trace amounts of potassium. However one tea combination of rooibos, cranberry and pomegranate contains 201 mg potassium for an 8 ounce cup of tea. I am unsure which ingredient contributes the potassium. Hello! I just started my dialysis sessions. Is twinings red tea ok to drink? And if so can I have 1 cup a day? According to my research red tea contains the rooibos plant leaves which is high in antioxidants–a good thing for kidney patients. Phosphorus is low–11 mg for 1 tea bag. I was unable to find the potassium content. One reference states there is a trace of potassium, however one product that also contains cranberry and pomegranate contains 210 mg potassium for one cup. Ask your dietitian and the dialysis center–they may have more information. Don’t get tea with licorice in it (e.g. Easy Now) – it raised my blood pressure really high after consuming a cup a day for several months. I believe it does that when you are taking an ACE Inhibitor. Where did you get your information about teas for a 4th stage kidney pt not on dialysis? The post did not specify stage 4 CKD, but some of the things to consider in stage 4 are need to restrict liquid and if a low potassium diet is required. If yes, select teas with lower potassium content. Thanks so much. Lots of good infomation. Is green organic tea with peppermint ok to drink? Yes, green tea and peppermint are both acceptable on a kidney diet. Sounds like a great combination!